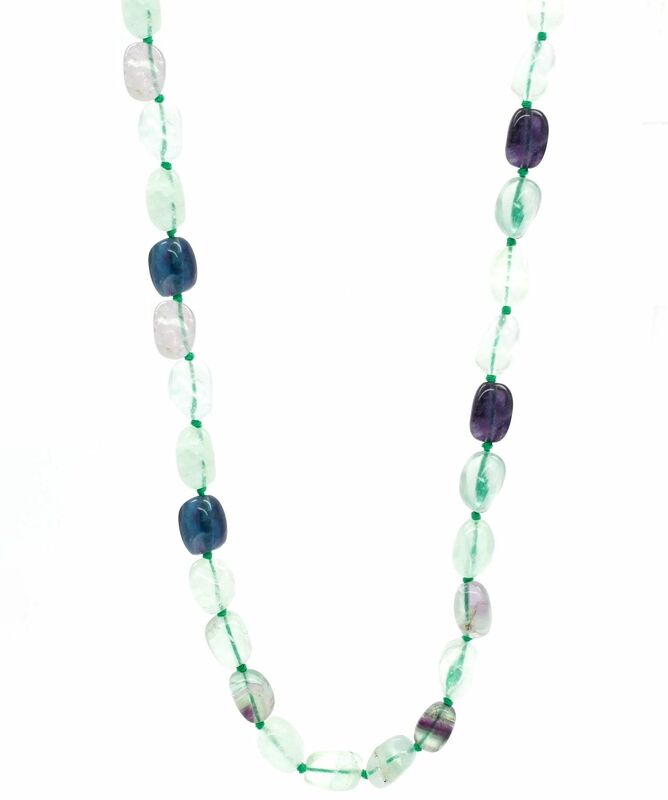 Show off your individuality with this handwoven Fluorite Stone Necklace. 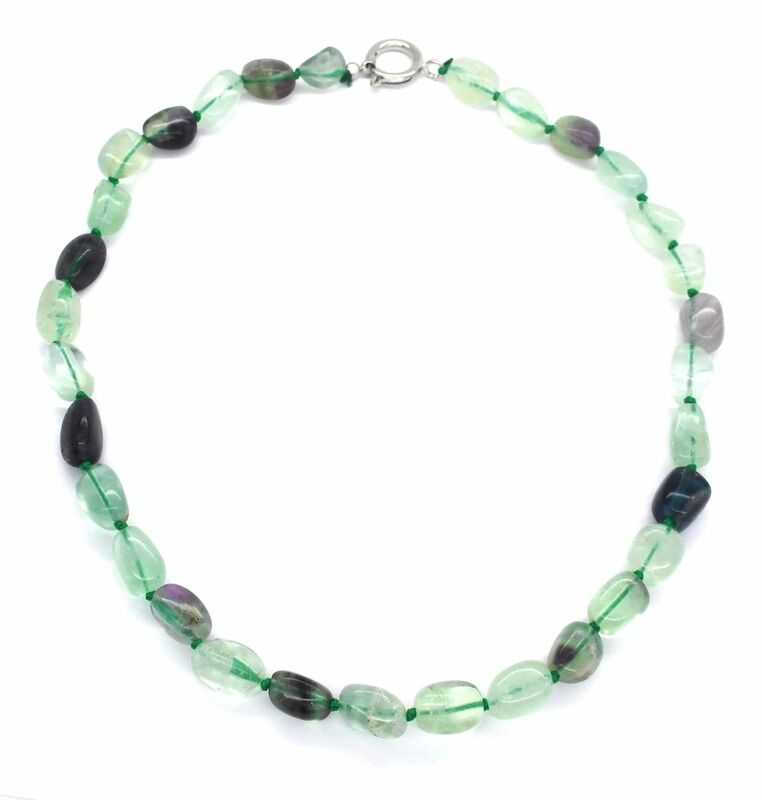 This necklace has an air of uniqueness in addition to a natural, earthy feel. 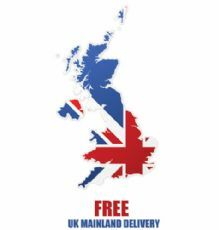 And since no two are alike, each necklace is as unique and special as you are! 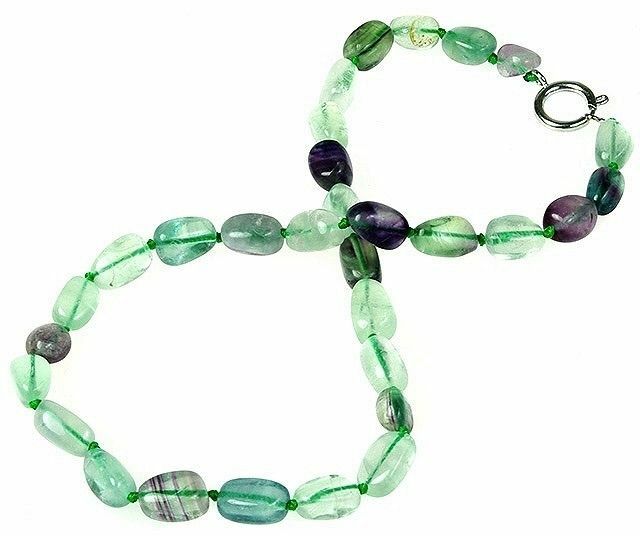 Fluorite helps clear the mind and heighten mental achievement, whilst increasing the ability to concentrate. 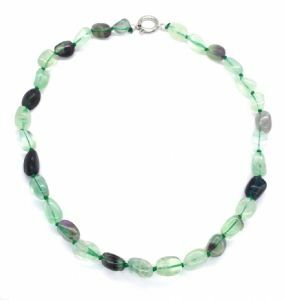 Fluorite increases ones ability to perceive higher levels of reality..
Fluorite makes you more receptive to other gemstones. Fluorite is good to keep in every room of the house to absorb negative vibrations. Fluorite is known as the 'genius stone'. Fluorite helps balance the positive and negative aspects of ones mind.